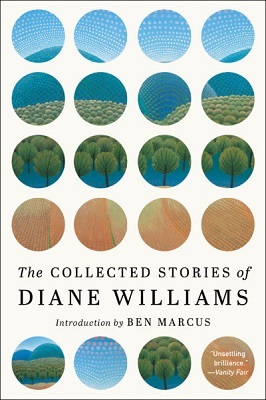 The following is from Diane Williams' collection, The Collected Stories of Diane Williams. The collection brings together over 300 new and previously unpublished short fictions that challenge the conventions of the American short story. Diane Williams is the founder and editor of the literary annual NOON. She is the author of eight previous volumes of short fiction, and lives in New York City. I would like to see you soon in case you have the freedom was the note I sent to him while in an altered state. No reply came. Mind you, I had not spoken to him for the last thirty years. But then on the first Sunday of this November—it was at Hart House, no!—it was at The Publick House where I saw the two of them sitting at a free-standing table near the open hearth. Bob wore a bib—as did she. And, mind you, he is a note-worthy character. I was on the point of asking Dorothy the server why they had bibs on, but Dorothy was nearly always bent over her heavy tray, and it would have been very unkind to distract Dorothy unnecessarily. Their plates were not in view and I had bored through the menu, with no luck, looking for lobster. This synchronicity—the two of them turning up at the historic roadhouse at the same time we did—was surely meant to be—for Ike and I had nearly missed ever finding the inn. We had roamed well past the playing field—well past the little traffic island several times and had signaled to a fellow on foot at the side of the road, who was eating an apple, who agreed to ride along as our guide. 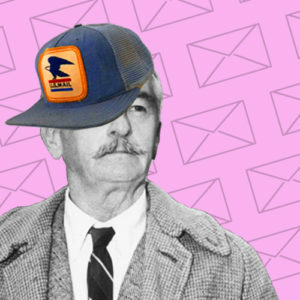 Ike knew nothing about the note I had sent to Bob and less about my state of longing for the “Show time!” Bob had liked to promise us. I went right up to them—saw no plates of food—and when I touched the woman’s ready shoulder, her mouth opened. “You drunk?” Bob said to me, and the pair surely took in the full panorama of my chagrin as I turned and walked away. Thankfully they could not also see my headache, indigestion or nerve tensions. And I missed out on ever setting eyes on them in toto, because when they left the inn, I’d been disturbed by the outcries of a tiny, timeworn woman whose chin was level with her table’s top. She extolled lengthily a man she called Masserman, but said it was a nuisance to have to keep going to him. Eventually a reply from Bob arrived in the form of a letter. “From Bob,” was all there was to it. I daily wear the bangle—a gift he gave me years ago that bears a finely etched design—berries plus their stems?—balloons attached to their strings?—spermatozoa? I try to go back in time. Please don’t go back in time! How to develop a yen for the future?—not just a yen—find a hankering—or even a stomach for from here on in. From The Collected Stories Of Diane Williams. Used with permission of Soho Press. Copyright © 2018 by Diane Williams.